Superstar’s Petta is directed by Karthik Subbaraj, produced by Kalanithi Maran under Sun Pictures. The cast includes Simran, Trisha, Sasikumar, Vijay Sethupathi, Nawazuddin Siddiqui and others. 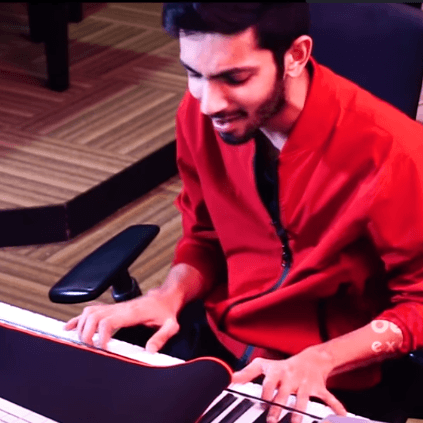 The music director of the film is Anirudh Ravichander. In our MG Show by Madan Gowri, Anirudh Ravichander talked with Behindwoods exclusively. He shared his experience of working in Petta for Rajinikanth. Apart from that, the rockstar also performed the song Marana Mass which is a very peppy dance number from the movie. His performance was raw, vibrant and equating the name of the song. People looking for online information on Anirudh Ravichander, Karthik Subbaraj, Marana Mass, Petta, Rajinikanth will find this news story useful.